According to legend, in the 8th century CE, a Czech duchess and prophetess named Libuše stood on a rocky cliff overlooking the Vltava River and ordered the building of a castle and town “whose glory will touch the stars.” That town was to be called Praha, also known as Prague. By the year 800, a fort fortified with wooden buildings had been constructed—buildings that now make up two-thirds of the stunning Prague Castle. Prague found prominence in the 1300s under the reign of Charles IV, Holy Roman Emperor and the king of Bohemia in the new Luxembourg dynasty. The emperor not only founded Charles University, which is the oldest university in Central Europe, but also laid the foundation stone for the Charles Bridge, which crosses the Vltava River and has become one of the city’s most-visited sites. In 1344, the same year Prague was elevated to an archbishopric, Charles IV began construction of St. Vitus Cathedral, a Gothic temple set within the largest of Prague Castle’s courtyards. As the seat of not only Charles IV but also of later Holy Roman Emperor Rudolf II Prague served as capital of the Holy Roman Empire, and it was also an important city for the Habsburg Monarchy and the Austro-Hungarian Empire. After World War I, Prague became the capital of Czechoslovakia. Nazi Germany occupied the country during World War II, and it came under the Soviet Union’s territory and military control during the Cold War. 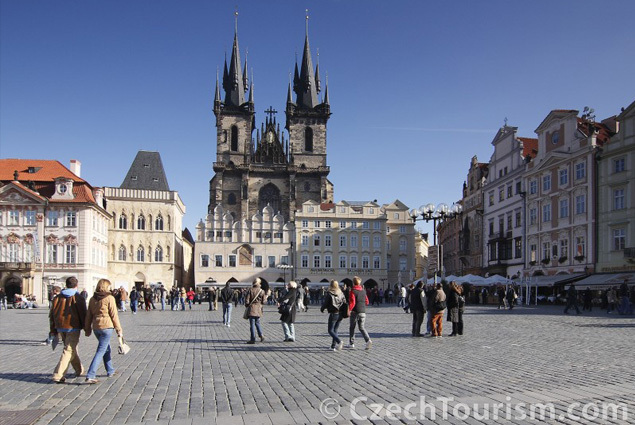 In 1993, Czechoslovakia split up, and Prague was named as the capital of the new Czech Republic. All this and more that Prague experienced throughout its 1,100-year history has shaped what it is today—a political, cultural, and economic center of Central Europe. Prague was founded during the Romanesque era and flourished during the Gothic and Renaissance eras. Because of this, in Prague you will find one of the world’s most original and diverse collections of architecture, with examples of Romanesque, Gothic, Renaissance, Baroque, Rococo, Neo-Renaissance, Neo-Gothic, Art Nouveau, Cubist, Neo-Classical, and Ultra-Modern design. Explore a blend of Gothic and Baroque architectural styles in Prague’s Old Town Square, which is also where you’ll find the astronomical clock at Old Town Hall. Installed in 1410, this is the third-oldest astronomical clock in the world and the oldest one still in operation. An example of Prague’s Art Deco architecture can be found at the Radisson Blu Alcron Hotel, Prague, located near the famous Wenceslas Square. Built in 1932, the hotel charms with its high ceilings, marble floors, chandeliers, and milk glass—all of which was restored by famed designer Maria Vafiadis. The Radisson Blu Alcron also attracts attention for its fine dining options at in-house restaurants La Rotonde and The Alcron. The latter, under the helm of executive chef Roman Paulus, has received a Michelin star every year beginning in 2012. Cuisine is large part of Prague culture, with the city’s diversity lending to its broad range of dining establishments that reflect cooking styles from around the world. The first restaurant to receive a Michelin star in all of post-Communist Central Europe was Prague’s Allegro Restaurant at the Four Seasons Hotel, which maintained its status from 2008 until it closed in 2011. Joining the Alcron with a star in 2012 was La Degustation Bohême Bourgeoise, and four more Prague restaurants received the honor in 2015 to bring the total to six. 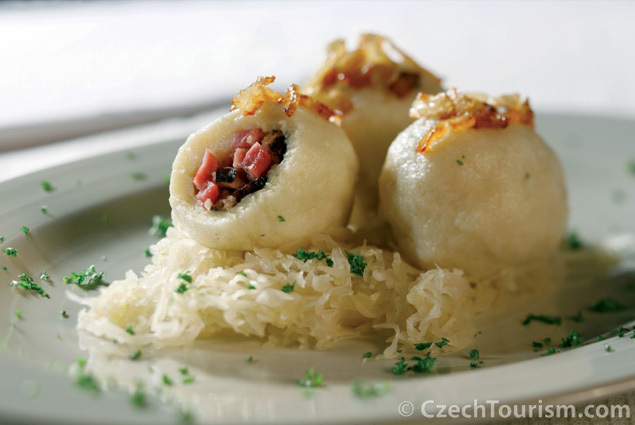 For those looking to try some Czech specialties, pay a visit to Hergetova Cihelna, which also offers a stunning view of Old Town and the Charles Bridge. Other restaurants of note are Mlýnec, Malostranská beseda, Potrefená husa, and V Zátiší. You’ll want to order dishes with baked poultry, freshwater fish, meat and dumplings with sauces, and sweet cakes to get that authentic Czech cuisine experience. And what would a proper Czech meal be without a glass (or two) of homegrown wine or beer? Prague is home to several breweries—such as the Staropramen brewery in the Smíchov district—and the city hosts the Czech Beer Festival, the largest beer festival in the Czech Republic, for 17 days every May. U Fleků brewery and restaurant is a must-visit for beer lovers, as is the restaurant and beer gallery Pivovarský dům. Prague is also known for its vineyards, with six located throughout the city. St. Wenceslas’ Vineyard at Villa Richter is believed to be one of the oldest vineyards in Bohemia. Legend has it the vineyard has roots dating back to the 10th century CE, when St. Wenceslas, the patron of the Bohemian Lands, personally cared for the vines. Today, the renovated vineyard next to Prague Castle produces Pinot Noir wines as a nod to Charles IV, who first brought this variety to the region from France; it also offers Rhine Riesling wines. Visitors to the Prague Botanical Garden will not only find a tropical forest, a Japanese garden, and rare tree species but also St. Clare’s Vineyard. At this vineyard, which overlooks the Italianate Troja Chateau, is a wine shop and vineyard lodge, where visitors can sample and purchase locally made wine. Also in Prague’s northwest borough of Troja is Prague Zoo, which is widely considered one of the most beautiful zoos in the world. 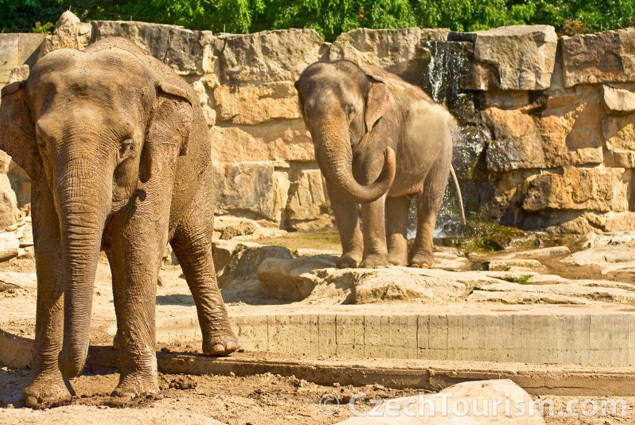 First opened in 1931, Prague Zoo has grown from 200 animals to nearly 5,000 individual animals and 670 species. There are elephants and hippopotamuses, monkeys and birds, and rare species including Indian gavials and the endangered komodo dragons and Chinese giant salamander. What makes the zoo most famous, however, are its loveable Prague gorilla family and its long-term breeding of Przewalski horses, the latter of which are then returned to their original habitat in the Mongolian plains. As capital of the Czech Republic, Prague is the site of quite a few important institutions for education, art, theater, and music. 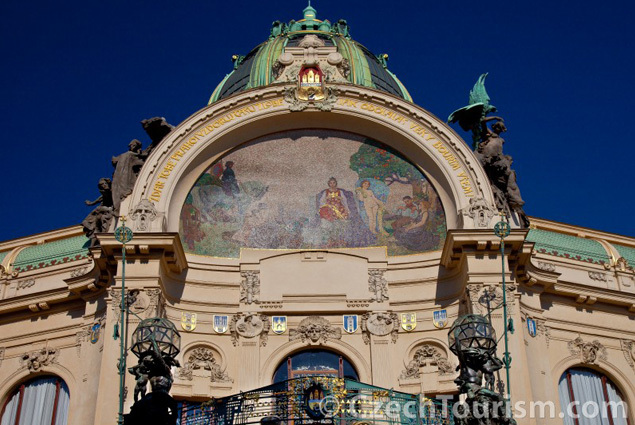 The National Library, in the historic complex Clementinum, received the UNESCO Memory of the World honor in 2005. The National Gallery manages the largest collection of art in the country. The National Theatre works to preserve and develop the Czech language through the Prague State Opera as well as ballet and drama productions. Its neighbor the Estates Theatre was the site of the first public showing of Mozart’s “La Clemenza di Tito” in 1791; it is the only theater where Mozart performed that still stands today. Classical music lovers will enjoy productions at the Rudolfinum, home of the Czech Philharmonic Orchestra, and the Municipal House, home of the Prague Symphony Orchestra. In fact, those who enjoy all types of music will find their place in Prague. 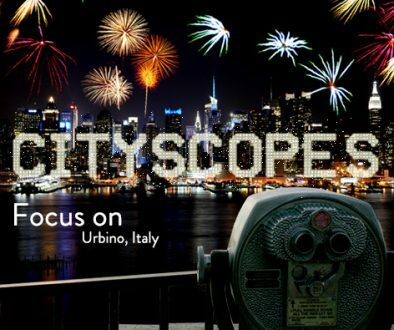 The city hosts several music festivals throughout the year, from the Jazz Festival to the Organ Festival, as well as the Prague Spring International Music Festival, the summertime Bohemia Jazz Festival, and the Strings of Autumn Music Festival. The Prague Fringe Festival not only brings together musical performers but also artists who produce dance, comedy, and alternative theater. As you can see, Prague is a force to be reckoned with, whether you’re searching for a city with stunning architecture, mouthwatering local gastronomy, exceptional art, music, theater, and film—or all of the above. 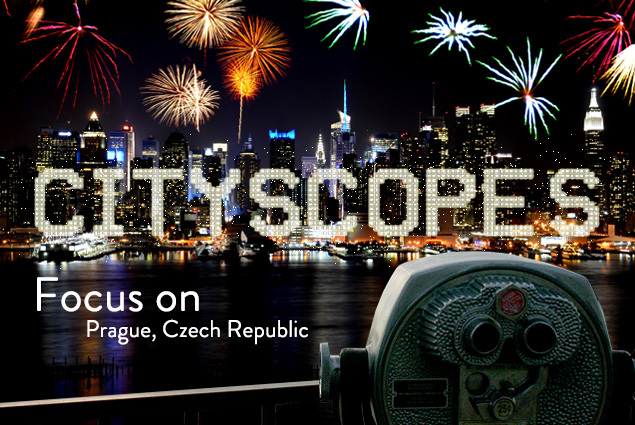 Visit the CzechTourism website to learn more about the beautiful city and start planning your trip. 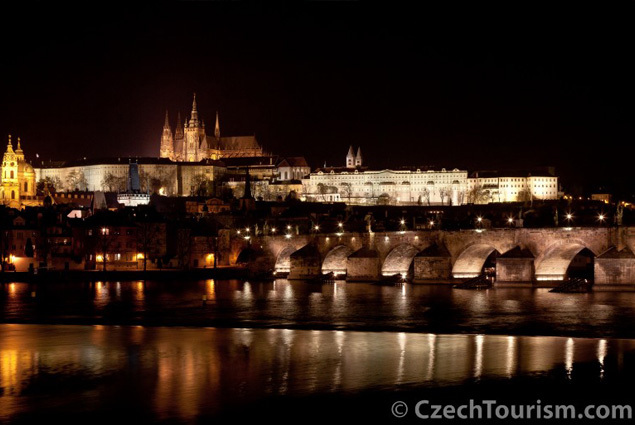 Want to win a Prague adventure trip, featuring castle tours, gourmet meals, and more? Enter our giveaway by June 30 for the chance to win the grand prize!